Webinar: What's Your Theory of Action? School leaders must have a clear idea of what good instruction should look like. In addition, instructional leaders need to know why they make certain instructional decisions over others in order to have a lasting impact. This second installment of our webinar series on the 4 Dimensions of Instructional Leadership™ helps school leaders understand why it is so important to have a rationale behind the strategies they choose and how to help school staff articulate the thinking behind their decisions. What a theory of action is and how it can help school leaders plan the work toward the improvement of instruction and increased student achievement. How to develop a theory of action and provide the specificity of thought and reasoning that can guide your work. How to build a theory of action that helps establish a clear path with specific checkpoints to your goals of impacting student achievement. In this webinar, we will work through a practical example on how to develop a theory of action and help you get started on your own. We recommend to download and print the documents below to have them close at hand when creating your own theory of action. As an associate director, June Rimmer develops and manages district partnerships committed to building school leaders’ expertise in instructional leadership. 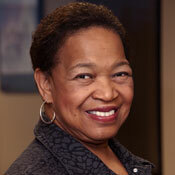 Prior to joining the CEL team, June served in numerous leadership roles in urban education and foundation settings. Before coming to CEL, she served as a program director with the Stupski Foundation in San Francisco coaching and providing technical assistance to urban district leaders committed to reform. In addition she was part of a research team examining powerful student learning experiences that lead to 21st century skills and competence as well the system-level change needed at both the district and state levels to support 21st century learning. June’s professional interests lie in the design of equity-based instructional systems and building expertise in leaders' practice to improve instruction and to ensure that all students, particularly our most vulnerable children, exit our systems able to thrive in our dynamic, interconnected, global community.